Santiago pilgrims now have a new pilgrimage route to walk on their trips to Santiago de Compostela, joining such major routes as the French Way, English and Portuguese. However, this new route will not be accessible on foot, horseback or bicycle ... This is a new sea route, promoted by a group of northern ports of Spain - with seal keeps the Road - and with the agreement the dean of the cathedral, Leonardo Segundo Pérez López. The route also promoted one of the major tourist engines Galicia. The agreement between the various marinas and Dean Segundo Leonardo Pérez López allows pilgrims make this journey by sea can get the call compostela, but always with a mandatory requirement: the sea route must cover at least 100 miles navigation sailing, besides making the last stretch - between the Monte do Gozo and the cathedral - on foot. The ports associated with this new route also undertake to conduct extensive international promotion of this new route in the means at its disposal: lounges and conferences, social networks, etc. Those responsible for the proposal and the agreement ensure that this initiative will, over time, could give a boost to other roads and the number of vessels arriving in the Galician coast: even quintuple the current figures. 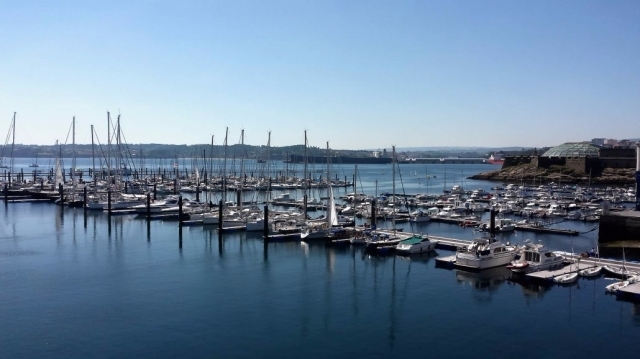 The natural port of entry will be the Marina Coruña, one of the most modern in the north of Spain.